Here are links to a few more web sites that contain further historical information on the history of the Handes and related families. The late Erich Slawski (1941-2015) of Cologne/Köln, Germany, did a tremendous amount of research into his forebears in Galicia and Bukovina, including 67 Popps and other related individuals. Fortunately, his data remains online for others to view. There are a number of family history resources available on this website, but most valuable for genealogists is the database of information taken from German descendants in Galicia as they were being evacuated back to Poland and Germany in World War II. Over 70 Popps are mentioned in this database, and of course countless other families related through marriage. 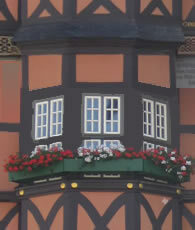 Although there are relatively few Popps mentioned in Herb and Janet’s web site, there are numerous other Galician German names which have intermarried with the Popp family. So it is worth checking out the data that they have posted. Adrian has Popp ancestry and he has posted a considerable amount of information about his grandmother, Katharina Elisabeth Popp’s Manweiler descendants. I encourage you to check out his genealogical web pages. In March-April 2016, D’Arcy Hande, his daughter and her friend toured south-west Germany and western Ukraine to search out the places where his Popp and Wagner ancestors had once lived. This blog follows them as they prepared and executed their family history quest. There are numerous other web sites where Popp information has been uploaded, like Ancestry.com, Geni.com, MyHeritage.com, etc. but since they require membership to access, I have not included them in this list.